‘Trapped In The Fog’, Joana Serrat’s new song and lead track from her forthcoming album ‘Dripping Springs’, featuring members of Israel Nash/Midlake, is available to stream & download from today. 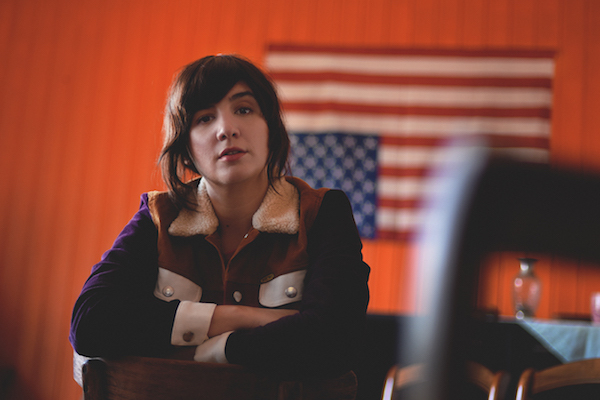 The resulting album – which Joana named after the local town – is unsurprisingly Joana Serrat’s most Americana album to date. Mojo described her last album Cross The Verge as “Mazzy Star guesting on an early Neil Young demo”, but with Dripping Springs she has produced a far more rounded and polished piece of work. Serrat explains, “it’s an album that deals with farewells but is filled with an optimistic melancholy that doesn’t isolate nor enclose the spirit and determination to realise our own dreams”. It was a bold move by the young Catalan to cross the Atlantic to work with a bunch of American musicians that she had admired from afar but had never met. What she came away with is, however nothing short of magnificent and should see Serrat building on her existing achievements which have included a BBC 6Music Recommends Track Of The Week selected by Gideon Coe and Lauren Laverne the latter commenting “she’s an amazing artist an astonishing talent and I love her songwriting”. Within the last year Joana has toured with The Jayhawks, The Handsome Family & Courtney Marie Andrews played the main stage at Primavera Sound Festival showcased at SXSW and has been invited to Nashville in September to showcase at AmericanaFest 2017.